Ipl 2017 is going to start on Wednesday i.e tomorrow. This time, IPL is sponsored by Vivo India. Today, the company has launched a new smartphone which is especially dedicated to IPL fans. 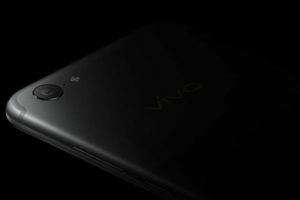 The smartphone is named as Vivo V5 Plus IPL Limited Edition. The device comes with a sweet price tag of Rs 27,980 in India. If you would like to know more about this device, then here are the specification details of the Vivo V5 Plus IPL Limited Editon. Vivo V5 Plus device features 5..5-inch full-HD screen-sized display with a resolution of 1080×1920 pixels. The smartphone is powered by a Snapdragon 625 SoC with a clock speed of 2.4 Ghz. It comes with an octa-core processor and is coupled with 4GB of Ram. It comes with 64GB of internal storage space. However, the device doesn’t come with any expandability feature to expand the storage of this device. Coming to the camera features, the device bears a dual 20 Megapixel setup on the front with Sony IMX376 1/2.78-inch sensor which captures excellent selfies. The back camera is a 16 Megapixel shooter with autofocus and dual LED flash. The device packs a 3055 Mah capacitive battery which is said to last long for at least two days with normal usage. Connectivity options like 4G, Wifi, Bluetooth are provided in this device. Do let us know your opinion regarding the pricing of this device in the comment section below.